Every gamer will have experienced an emotional gut punch. They can come from almost anything: A last minute winner conceded on FIFA, that moment in Final Fantasy VII, Dominic Santiago finding his wife in Gears of War 2, or winning a Chicken Dinner in PUBG. At least I imagine that last one would be, I’m still waiting for my first. They can come in any form, at any point. But The Path of Motus is different. It offers the same emotional moments but with far higher frequency and then when you understand the real-life stories behind, they hit harder again. Even without knowing the exact ins and outs, it is clear The Path of Motus is designer Michael Hicks’ very personal story to tell. 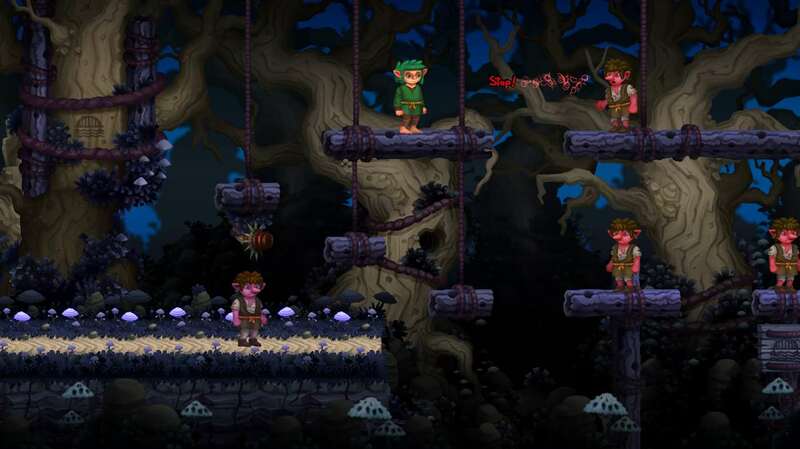 Players control Motus, a young goblin who is determined to not be like others in his village and journeys through the forest; a feat no goblin has ever achieved before. A lot of the story and sub-plots are relatable to anyone that’s ever-experienced loss, love, jealousy, rejection or even as simple as going through adolescence. It is the developer’s personal journey, but I’d be lying as well if I said I didn’t think back to my earlier years as well. 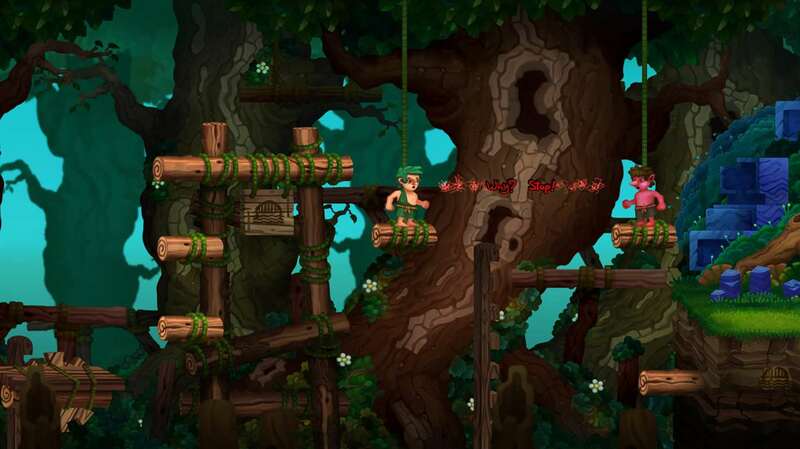 Gameplay takes the form of a traditional 2D platformer but with a couple of interesting additions. Enemies are defeated by launching projectiles at them using either the X, Y or B face buttons. These ‘projectiles’ are actually words – each button a specific word – and you need to select the correct word to defend your enemies ‘projectiles’ or to then attack them. In the later levels enemies are placed in trickier positions and being able to time your attacks becomes essential. These words are intended to represent the power of them. The Path of Motus explores many personal themes, and bullying is perhaps the biggest one. The developer sought out to understand the reasoning behind why bullies behave the way they do, and in turn befriended some of them and understood that sometimes those reasons weren’t necessarily the bullies fault. This then presented a bit of a cross-roads and it is this which has been implemented into the game. 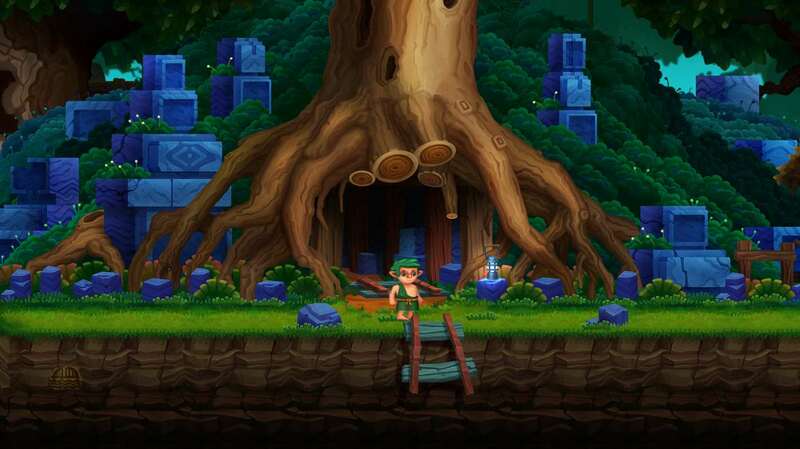 Firstly, it is possible to bypass a lot of the combat through complex and intricate platforming – and be rewarded for taking ‘The High Road’ as a result. Secondly, there are additional sub-plots dotted throughout, helping players understand those reasons a bit better themselves. Without giving too much away, they are all very relatable. Throughout the journey, Motus has plenty of options to enter various buildings and uncover additional story elements such as seeing him in a band or his job at the factory. Again, these feel very personal to the developer and at times I can’t help but feel obtrusive due to the nature of them. Each of these extra areas have what is known as a Thought Door too, behind which the final element to these sub-plots is revealed. These doors though have innovative line puzzles on them that start off easy enough, before soon ramping up; the final ones are a real challenge. These same line puzzles crop up during the bridge building sections. Clearly there is a deeper meaning to having to build bridges to overcome an obstacle in the way, but as a gameplay mechanic they work very well and will have you scratching your head throughout, although they may stop the overall flow due to their difficulty. 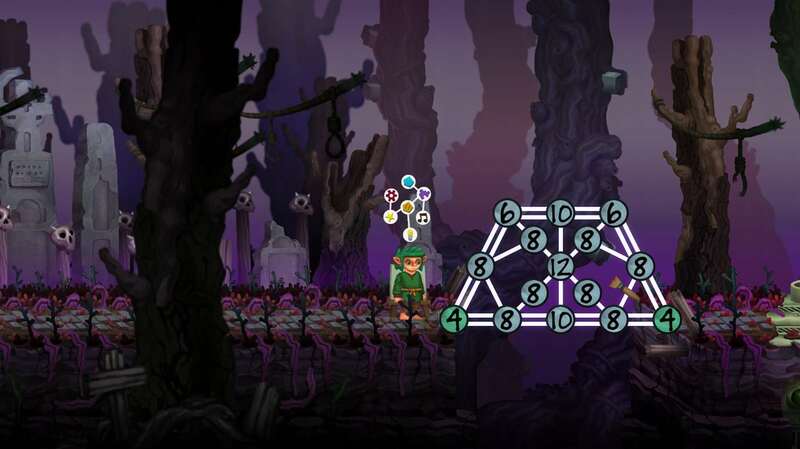 Thankfully there is a calming soundtrack to accompany you through The Path of Motus, so that when you do approach one of the trickier line puzzles, it won’t cause you to rage quit too quickly with the soothing melodies. There are three main chapters to Motus’ path, as you see him grow from a child into an adult goblin. The main gameplay remains the same throughout and – except for increasing in difficulty – there is little variation. Even the main location doesn’t change appearance much as you progress. For better or for worse then, the game is fairly short. You should be able to complete the main story and all sub-plots within three hours the first time around. It is highly recommended to take it all in again in at least a second playthrough to fully experience the game – one without taking the high-road options and then doing the opposite. I highly recommend playing through The Path of Motus multiple times because there is an accompanying scene after completing the game first time around that will make you question your actions, sending Motus out on a quest for redemption that makes the narrative all the more enthralling. Failing that, there is still an option to return to previous stages to complete anything you missed first time around; those looking for easy achievements are on the right track with this one. Talking of Gamerscore and there are 15 achievements in total, with all being obtainable in one playthrough should you choose to take the high road from the start. Most sub-plots unlock an achievement and there are more for completing each chapter and then the epilogue. It’s an easy completion that should take no longer than six hours with two playthroughs. On the surface, The Path of Motus looks like almost every other 2D platformer, just with a cutesy palette rather than a retro-inspired look. However, it becomes immediately obvious how much of a labour of love this game has been, how the developer has been willing to lay it all out on the table to tell this story of Motus. It again sounds simple when you describe it, as all Motus must do is get from one end of the forest to the other, but add in all the details such as the High Roads and then sub-plots, and this is an incredibly deep narrative for a game, proving that it can be done without the need to stretch things out over 30+ hours. If you have a couple of evenings free you owe it to yourself to take The Path of Motus. Your journey will be remembered for a long time.